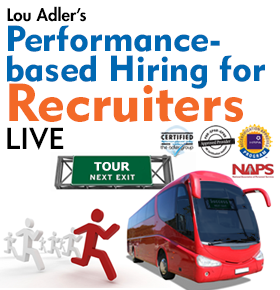 Performance-based Hiring for Recruiters LIVE Tour is coming to a city near you. Click the "Dates & Times" tab above for currently scheduled course dates. This program is approved for HRCI, SHRM, NAPS, CHRP recertification credits. 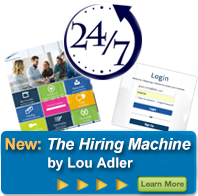 Everyone who attends a live or Performance-based Hiring for Recruiters training program is automatically enrolled in our Performance-based Hiring recruiting community. 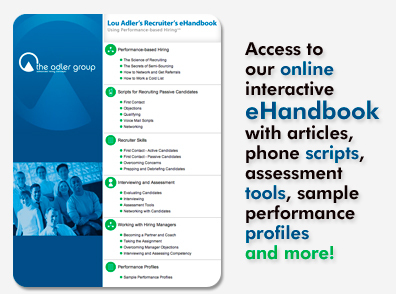 All members receive one-year, 24/7 access to our enhanced online Recruiter eLearning Center, plus personal coaching to become Performance-based Hiring certified. In addition, members can attend any public live or online Performance-based Hiring Recruiter workshop throughout their year of membership. 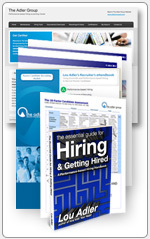 We also have special low renewal rates for alumni of Performance-based Hiring for Recruiters. During your first year of membership, or annual renewal, you’re invited to attend any live online or live tour Performance-based Hiring for Recruiters program.